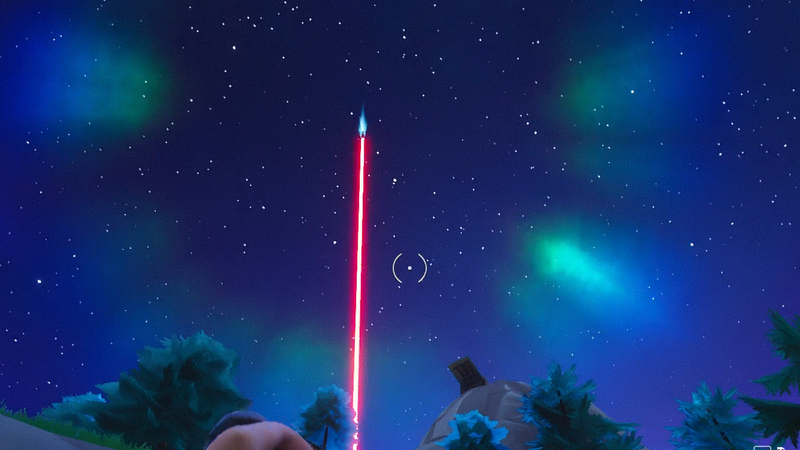 The rocket that has been counting down in Fortnite finally launched and what happened afterwards was a little weirder than anyone was expecting. 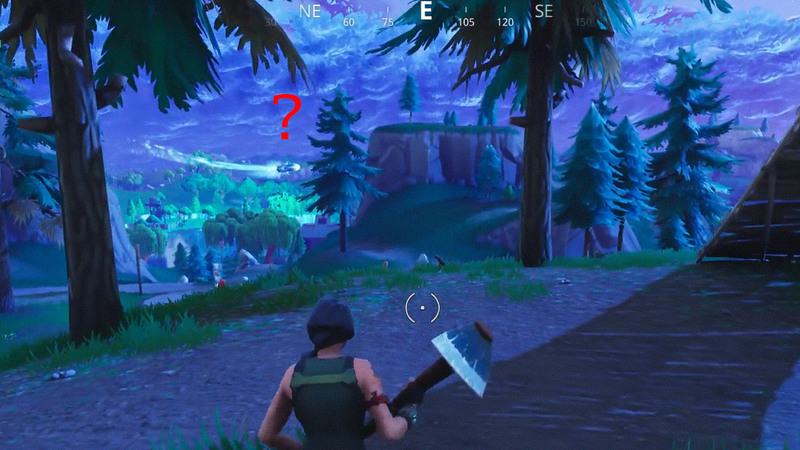 When I logged into the game, I could hear a klaxon blaring every few seconds and before long the ground started to shake with only what I can describe as "rocket launching noises". It began its slow climb up into the sky. Then something weird happened. 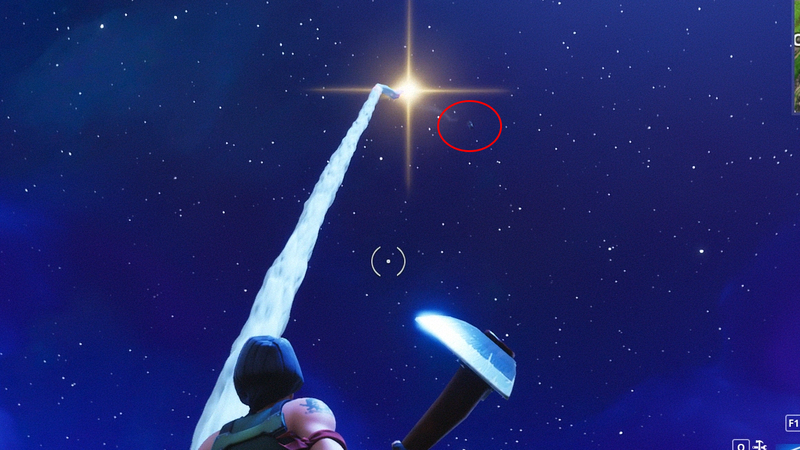 There was a bang and the rocket tilted in the air before some kind of pod shot out of it and flew across the map. 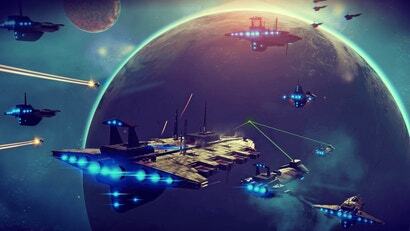 Then, when I turned in the direction of some weird warbling space noises, a big object appeared in the sky and shot a red laser into the ground, making me believe that I was definitely going to die, but I did not. Immediately after that a big big piece of sickly green metal shot across the map parallel to the ground. Then time and space blinked in and out and something shot vertically into the sky, literally cracking it. 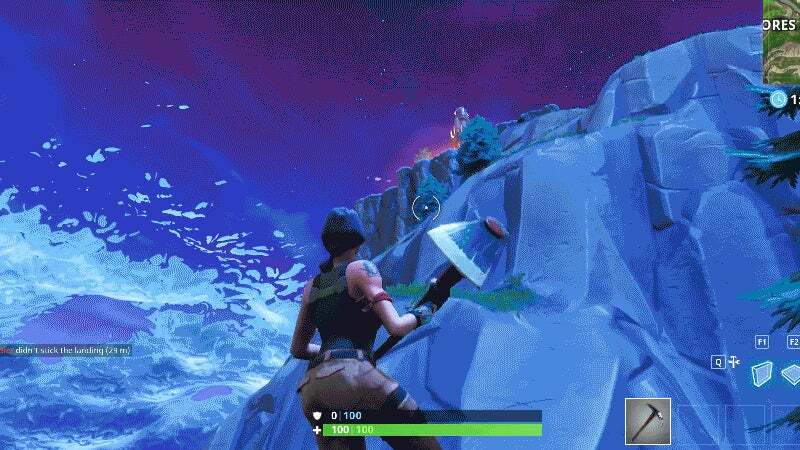 It looks like some other universe is leeching into the game of Fortnite. 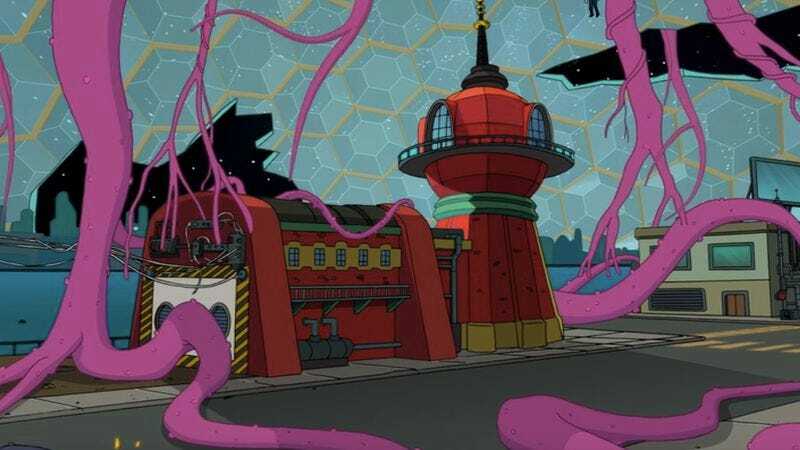 It's some Ogdru Jahad stuff, and if a giant tentacle comes out, you know that things are going to get bad. 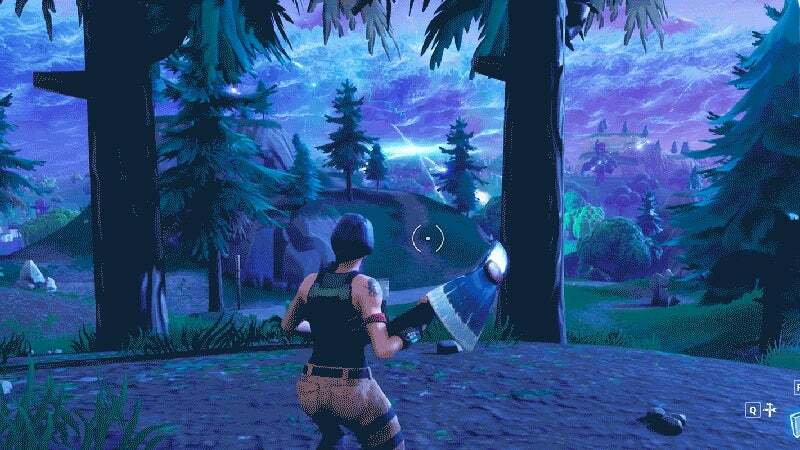 The popular Fortnite streamer Ninja posted a replay of his own experience of the first half of the event before the sickly green object... teleports?... into the arena. As we can see from this aerial view footage, all of the different objects that I saw in the play-by-play are actually the same rocket. It travelled high into the sky, shot the red laser as it travelled toward the ground, and then teleported out of existence before becoming the sickly green object I saw zip by me. 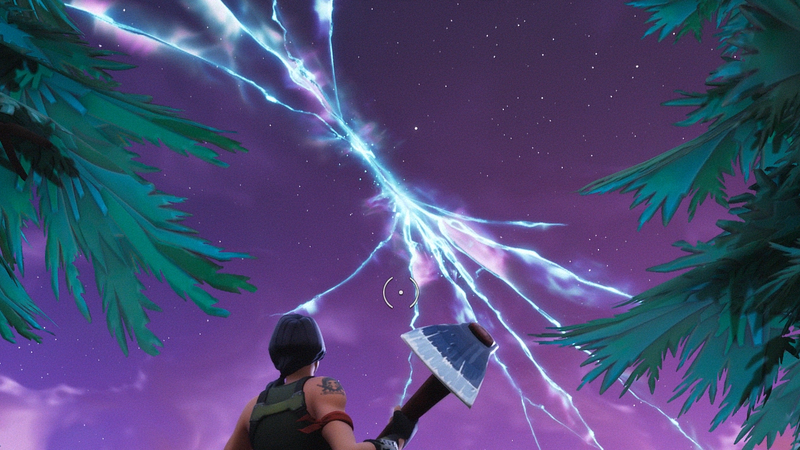 Then it appeared in the middle of the map, turned into some kind of electrical energy, and cracked the sky. 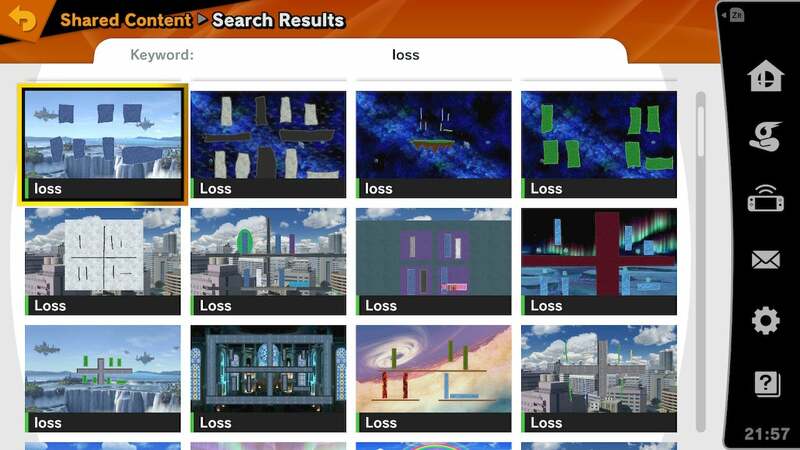 Players are also discovering some kind of weird, wavy energy in the game's map. 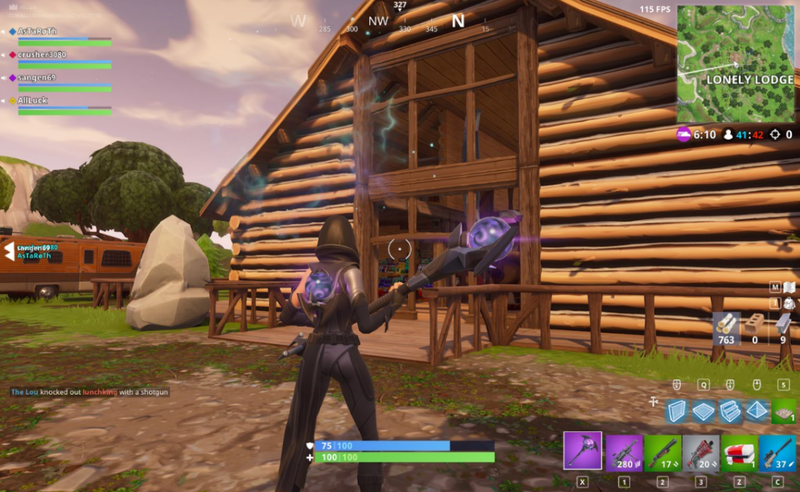 Reddit user aaron4013 posted this screenshot of something weird at the game's Lonely Lodge location. Someone needs to build up to it and jump through! the ground started to shake with only what I can describe as "rocket launching noises". Am I the only person who read this and heard the sound of the rocket clock from Playschool in their head? Tick Tock, Tick Tock, What's the time on the Rocket Clock? 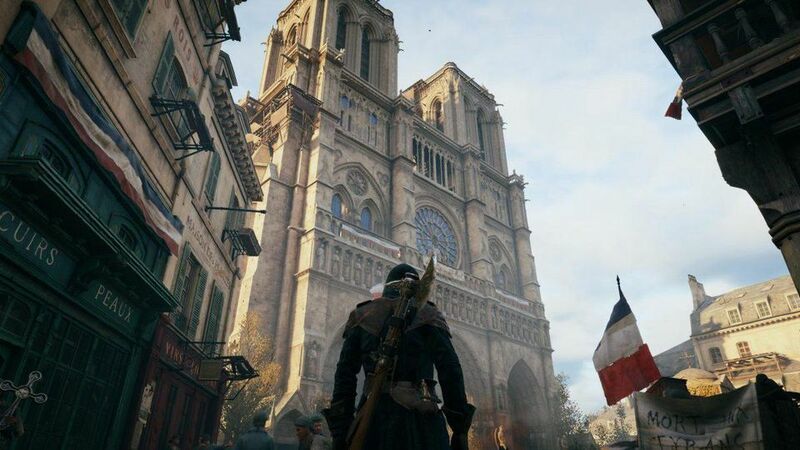 One day soon, the sky is going to shatter into a thousand pieces and then when you look up you will see the faces of the Gods that have been guiding the hands of those on the battlefield, the players themselves. ...SHOW ME WHAT YOU GOT.